5/20/18- 2 months from the release date of the debut DB3 album!! Many great things happening with this record! 5/3/18- Tonight Walk talk performs our first show in New Orleans during jazzfest 2018! 11/23/17- Heading into the studio with a serious crew for the next 3 days to knock out the Walk Talk album. We are doing it at the killer studio Vibromonk in Brooklyn. So stoked!! 11/17/16- I’ll be playing with my trio DB3 this Friday and experimenting with a new setup of myself on guitar, drums, sax and some live programming. Special guests Morgan Price on sax, Walker Adams on drums and Bajah on the mic. You know its gonna be a party. 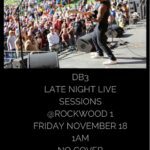 Its goin down at Rockwood 1- Friday late night at 1am. There’s a rumor floating around that the awesome South African singer Xander Ferreira may stop through and sing a tune as well. 11/13/16- If your in the NYC area tonght, I’ll be hustling from a show with Xander Ferreira and the True Tones at Berlin at 8pm and then Boogie Rock Boys at 10pm at Rockwood. I love both of these bands, great musicians and great tunes. 10/1/16- Hardly Strictly was more epic than expected! 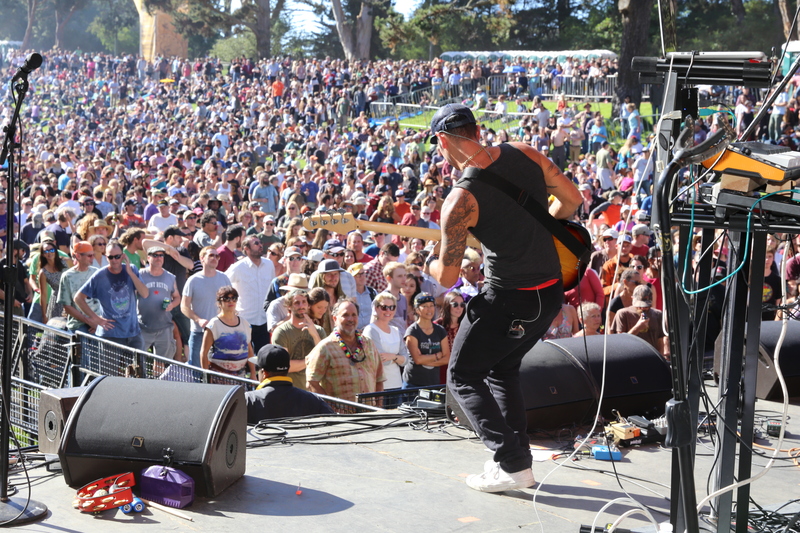 Our set at 3pm in Golden Gate Park was fire!! The weather was beautiful and the not only was the crowd huge but the energy was amazing. Big up to all the San Francisco and bay area folks that came out and showed so much love! 9/30/16- Looking forward to Hardly Strictly Bluegrass festival in San Francisco’s Golden Gate Park this weekend. We Play on Sunday at 3pm, the crowds are in the hundreds of thousands for this one! Always good to be back in the Bay! 8/12/16- After a few awesome shows last weekend at Floyd Fest, including a raging late night show at ‘The Secret Stage’ we are heading out to PA today to play Peach Fest, the Allman Brothers annual festival with the Pimps. I’ve always been a huge Allman Brothers fan- as Duane Allman is most definitely one of my guitar heros. 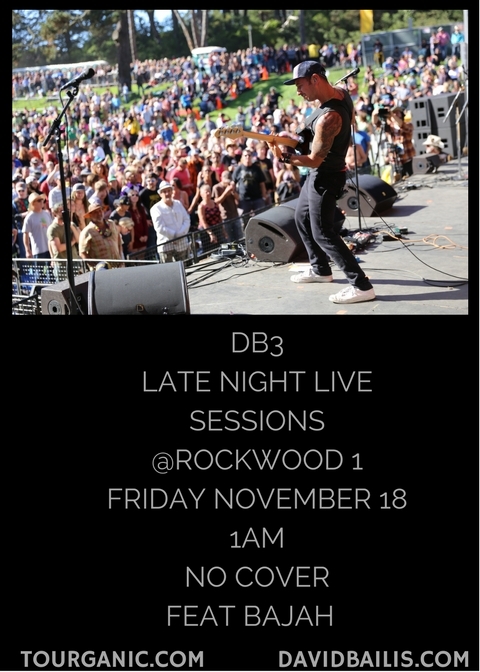 8/4/16- People get ready, I’m excited to announce DB3 at Rockwood 1 late night Saturday, August 20. New originals on the way and special guests to be announced shortly! 7/26/16- Its going down tonight at the Mercury Lounge. 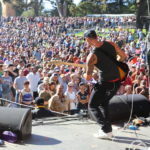 Xander Ferreira and the True Tones at 9:30pm. Xander is a great singer and quite the performer! Steve Williams on drums, Paul Frazier on bass and myself. See you later! 7/15/16- Last night at Red Rocks was epic!! What an amazing venue, definitely one of the greatest places to play music on the planet. The 10,000 seat ampitheater was packed and it was a gorgeous night in Colorado. For sure, looking forward to the next time I get to experience the magic of Red Rocks! 7/8/16- Today I begin a 10 day tour in Colorado. We play in Steamboat Springs tonight and the tour will take us to Telluride, Vail, Aspen/Snowmass, Fort Collins and more but most importantly RED ROCKS Ampitheater!! 6/23/16- Big thanks to everyone who came out and the musicians of DB3 Swiss Chris on Drums and Eric Lane on keys/synth bass for making last night a great show! 6/10/16- DB3 will be laying down some grooves and new compositions at Rockwood next Wednesday, June 22 at 11pm. The band is sounding tighter than ever and the show will feature the great Pauly Ethnic from the Boogie Rock Boys on a few tunes. Will no doubt be fire! 5/20/16- Excited to be back in Brooklyn tonight sharing the bill with the great members of the Meters- George Porter Jr bass and Zigaboo on drums. 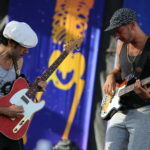 Funk music legends!! 5/7/16- Today was our 5th show of The Day Before Heaven and we have definitely tightened up the ship. It has been hard work and I am appreciative to work with Musical Director Swiss Chris and the other great musicians in the band. My acting debut has been fun and exhilarating! Running between the pit and stage has been quite an experience. 4/22/16-Jazz Fest!! Another year of amazingness in New Orleans. Playing both weekends with the Pimps as well as a few other shows here and there. Look out for me rocking at The House of Blues, Tipitina’s, The Joy Theater and 30/90. 4/5/16- We are deep into rehearsals for the production of The Day Before Heaven. I am playing guitar and acting in this Musical. The show is in a month in Brooklyn and we are wrking hard to get the music right and tight for the opening! 4/2/16- So glad to be back in Brooklyn after a great Pimps of Joytime west coast run. We love it out in Cali (not to mention good times in Oregon, Idaho and Utah!) Give thanks to our awesome fans, as a bunch of the shows were sold out and the crowds were hype! The next few months are crazy busy- so be on the lookout for DB3 shows at Rockwood, an amazing off Broadway show- The Day Before Heaven, which I am playing music and acting in and PJT dates in NOLA for jazz fest!! 2/23/16- Very excited to announce to two DB3 shows at Rockwood 1 in March! March 5 and 12- Both shows are Saturday late night at 1am. There will be many special guests and new music. Come down and hang at Rockwood 1 late night! Can’t wait! 2/21/16- Great weekend with the Pimps of Joytime! Always great to rock my hometown of Boston at the awesome venue the Sinclair and big ups to the homies Turkuaz for a killer few shows. 1/8/16- Very happy to kick off 2016 with a show announcement!! 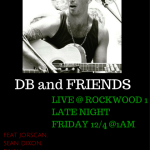 DB and Friends will be taking the stage at Rockwood 2, Friday January 29 at midnight! Rockwood 2 is such a great venue- the sound and the vibe are awesome. I will post a flyer asap with more details on special guests but as always you can expect new music, cool collaborations and the unbeatable rhythm section of Jorscan on bass and Sean Dixon on drums. See you there! 1/3/16- Happy New year!!! If you haven’t been following yet, my blog- Tourganic has been doing great. The blog is a resource, forum and guide for musicians, athletes, businesspeople and travelers to find healthy ways(food/fitness) to live while on the road. It lays out city by city and town by town recommendations on healthy cafes, vegan restaurants, juice bars, trails to run, hikes, tennis courts, organic grocery stores and much more. You can find the info at tourganic and of course you can also follow Tourganic’s post and updates on social media with instagram, facebook and tumblr. Please check it out and let me know what you think! 12/31/15- Really excited to close out 2015 with a sold out New Years eve show tonight in Washington, DC. Pimps of Joytime had a great year with Europe tours, the release of a new record- Jukestone Paradise and many other awesome moments. Stay tuned for big things in 2016!! 6/19/15- Shout out to all my friends and collaborators across the pond in Europe. Pimps will be heading to Spain for a bunch of shows at the beginning of July, right after High Sierra fest. We will also be in Italy in August! 6/8/15- Was about to head out to Colorado for a Pimps of Joytime run on Saturday at 6am and instead my daughter was born!! She was born at 11:31am on 6/6/15. She is safe, sound and beautiful! Skye Matson Bailis. A new musician for the world and one to provide much inspiration for me. 5/26/15- Very excited to announce the next installment of DB and Friends at Rockwood on June 25. It will be going down at midnight. Can’t wait! 4/25/15- After touring through the south we have arrived in New Orleans for Jazz Fest! I have a bunch of shows starting with tonight’s performace at Maison on Frenchmen. You can also catch me at Tipitina’s, Little Gem, 30/90 and the Parish at the House of Blues. 4/11/15- We are back in Brooklyn for a show this evening at the great venue- Brooklyn Bowl. Definitely good to be home! 4/8/15- Catch me and Brians J from the PJT’s on WNYU radio tonight. We’ll be spinning some of our favorite tunes and promoting our new album, which is set to come out in 2 weeks! 3/28/15- It was a great week of shows in Cali to end the West Coast leg of our spring tour. Big ups to all my friends and fam who came out to the Oakland show! 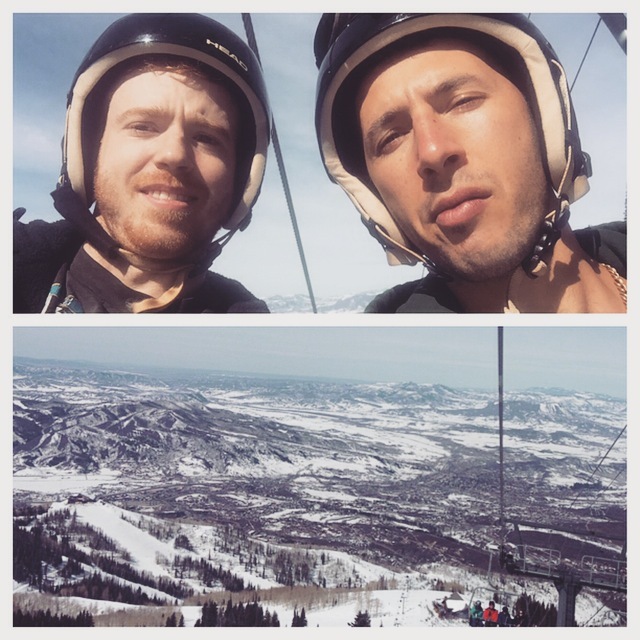 3/17/15- After a great week of shows, especially a few nights ago in Boulder and Telluride, I had the great fortune to go snowboarding at steamboat springs on our day off yesterday. It was an epic day and big thanks to the people at Steamboat for hooking up the PJT’s! 3/11/15- Heading out for a 3 week west coast tour with the Pimps today. We are starting in Phoenix and working our way up through Colorado, Utah, Wyoming, Montana, Washington, Oregon and winding in the Bay area. I love to be in these part of the country! 2/10/15- Looking forward to rocking out at the Blue Note tonight with monster drummer Swiss Chris for his S.W.I.S.S. charity event. Lots of amazing musicians and singers collaborating will make for quite an evening at the Blue Note. 2/8/15- Thanks to all our friends and fans who came out to Thats My Cole at BAM last night. It was a great moment for our band and an awesome show! 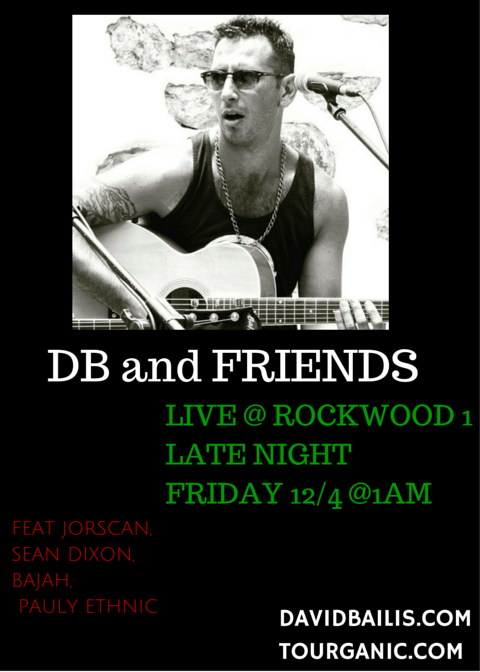 1/19/15- Very excited to announce another DB and Friends show at Rockwood February 24th at midnight! The show will feature special guests and never before heard original music. Cant wait! 1/13/15- Headed back to the studio for the Studio Radio 45 podcast today with the Boogie Rock Boys. We did about a 30min live set. If you haven’t already subscribed, check it out! BRB will be at Brooklyn Bowl this Sunday 1/18. Our 1st Brooklyn show in a minute! 1/6/15- Happy for my 1st post of 2015! Last night DB and Friends show was killer at Rockwood. I played original compositions that I wrote with many special guests- Cole Williams, Bajah, Pauley Ethnic and the great Drew Sayers. Not to mention Jorscan and Sean Dixon holdin it down all night on bass and drums. So thankful to have amazingly talented friends to collaborate with! Me and Cole will be back with Thats My Cole at the same stage at Rockwood this Thursday at 11pm. Come through! 12/30/14- My peoples! I will be performing a solo show at Rockwood Music Hall, January 5 at 11pm. The night is filled with many other amazing artists and my show will feature many great special guest and songs never performed live before. So excited to kick off 2015 with my show at Rockwood!!! 12/17/14- Recorded at a cool podcast today with Thats My Cole. We played 30 minutes of live music plus a video. The podcast is called Studio Radio 45. Find it on itunes and you can download for free! 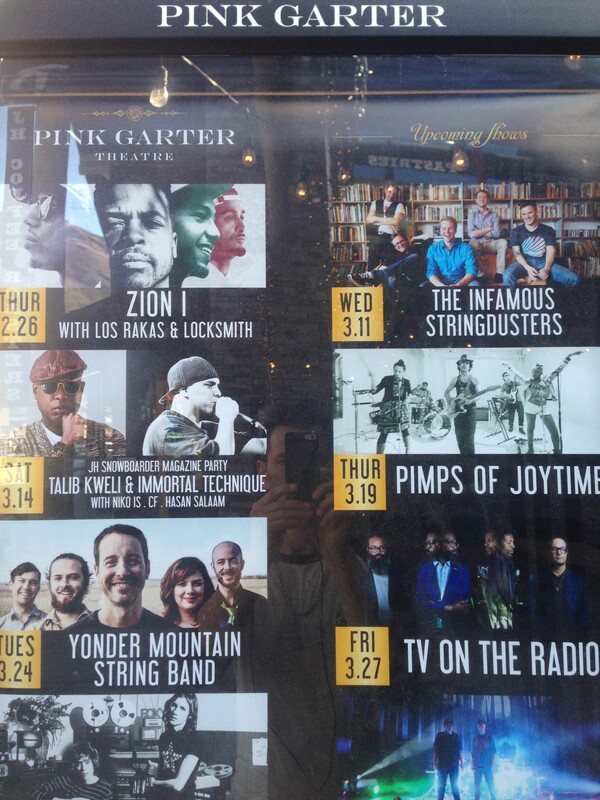 12/13/14- Looking forward to performing at the legendary jazz club Blue Note in NYC tonight with Thats My Cole. The band is on fire right now! 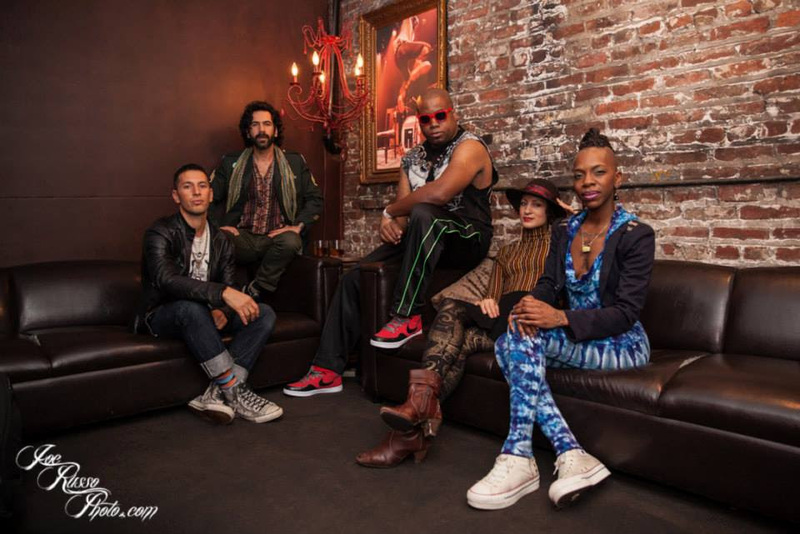 11/28/14- Catch the Pimps the next 2 nights at Bowery Ballroom for your post Thanksgiving celebrations. We are excited to close out our fall tour with 2 nights in our hometown NYC!! 11/8/14- Im so glad to be back on the east coast! This month we are continuing our fall tour on the east coast and in the Midwest. A bunch of the shows are co bills with our good friends and awesome band, Sister Sparrow and the Dirty Birds. Promises to be a heavy night of music! 10/31/14- So excited to be headlong the legendary Fillmore in San Francisco tonight for Halloween. We have some special things in store for the show. Our halloween theme is vintage future. 10/1/13- PJT are back in Brooklyn with a show at Brooklyn Bowl tonight! 8/14/14- Had a great session today for the film score I am composing. The film is The Inspector, The Lady and the Thief. Written and directed by David Gross. The film will be premiered at Film festivals in 2015. Me and Dave Gross collaborated on his last film and I am even more excited about this one. Big Up to all the musicians on the session Jordan Scannella, Adam Clark, Dov Manski, Jeff Pierce and a special thanks to Joe Mohan who killed it on the classical piano piece. 7/29/14- After playing east coast festivals all this month, Im excited to head out to Colorado today and then California this weekend. After Guitar Fish this Saturday, the band will head to our good friends in Tahoe for a few days to chill in the mountains, play tennis and Wakeboard! Then we are off to the Northwest for festivals in Oregon and Washington. 6/17/14- Watch out tonight we have a heavy lineup of Jorscan, Bajah and Aabaraki. The show is at Meridien 23 in NYC! Triple threat of great bands. I will be rocking with Bajah as always. 6/27/14- Headin up to play a music festival in Canada with the PJT’s. Always good to visit our Canadian fans! 6/3/14- Great times last night at the Lagunitas Amphitheater. Awesome crowd and awesome people at Lagunitas. Proper way to wrap up our west coast tour! 4/30/14- PJT’s kickin off our New Orleans Jazz Fest shows in front of a crowd of thousands at the Oak Street Block Party. Get ready for a crazy few days of shows down here! 4/13/14- Thanks to all our local friends and fam who came to the Pimps sold our show last night at the Bowery Ballroom in NYC. It was a blast! 3/23/14- Played a show last night with the amazing artist Res. Very excited to rock with her. The show was at Ginny’s Supper Club, a speakeasy vibe in Harlem and the scene was bumpin!! Her music is a journey from rock, to R&B to hiphop and many worlds in between. She’s an amazing talent. 3/20/14- Watch out! Tonight is Bajah and the Dry Eye Crew and Peoples Champs at Cameo in Williamsburg BK. Also on the bill is Maku Soundsystem from Columbia. 3/9/14- Thanks to all our great fans and friends who came out in support of The Pimps of Joytime Winter Tour! Many sold out shows and awesome nights made this our best tour to date! 3/7/14- Psyched to head to the sunshine of Southern Cali today. We are rocking at the Satellite in LA tonight, opening is a great band, The Lions. Gonna be killer!! 3/2/14- Yesterday we played at the base of the ski resort in beautiful Steamboat Springs and today I snowboarded for the 1st time in years! I rode for 8 hours straight with no breaks. Good to be back on the mountain making turns! I forgot how awesome snowboarding is!!! 2/22/14- Portland turned it out last night! Sold out show was rockin! On to Neumos in Seattle tonight. Our last show with Myron and E, real cool soul artists from the label ‘Stones Throw’ who we have been on tour with for the last week. 2/13/14- In Northern Cali for the first show of the Pimps month long tour tonight. Tomorrow we head to the Bay for 2 sold out shows at the Independant in SF! We will be hitting lots of our favorite cities on this run- Check us out in Santa Cruz, Seattle, Portland, Eugene, Jackson Hole, Salt Lake, Denver, LA San Diego and many other stops. 1/29/14- Big up to all the friends and musicians who came out last night to our show at Friends and Lovers in Brooklyn. It was a busy night for me. Opening the night, I played bass and keys with Mayteana Morales’ funky 80’s vibe with the Stereophytes (Chauncey Yearwood on drums and vocals). Next up, I played guitar and ran ableton samples on a stripped down That’s My Cole set. It was the 1st time we rocked without a drummer using loops and samples instead. Tons of work but def excited about the potential for that sound with Thats My Cole! We closed the night with Bajah and the Dry Eye Crew playing our blend of African, Hiphop and dancehall styles. Bajah killed it as usual and we played a bunch of new joints, which will be released on our upcoming EP! 1/16/14- Heading out on a Northeast run tonight with the Pimps along side our good friends and KILLIN band John Browns Body. Portland, Burlington, Boston watch out! 1/4/14- Starting off the New Year right with a Thats My Cole show tonight at legendary The Blue Note in NYC. We are performing with many special guests and starting off the show with a super cool stripped down set where I’ll be rocking guitar as usual and premiering a new sound in the band with live integration of samples and loops in our show. Excited for it! Also performing is DJ Marley Marl and Prodigy from Mobb Deep!! 12/7- Awesome times at The Pimps of Joytime’s sellout show at Brooklyn Bowl last night. So good to be back in Brookyn. Big shout out to all of our homies that came out in full effect. 12/2- Dope video of Me and the great John Staten doing our improvised duo set in Ashville, NC. 11/22- The PJT fall tour continued to blast forward tonite with a great show in Richmond VA. Our buddy and and hometown hero guitar player DJ Williams rocked with us for a few tunes tonight. Good stuff. 11/11- Leaving the west coast on a high note with 4 sell out shows in a row. Big Up CALI!! Heading to Florida to play at Bear Creek festival which promises to be awesome. 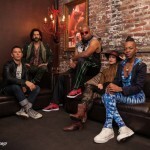 Bootsy, The Roots and many other amazing funky artists will be rocking out. 11/1- Big shout out to our peeps in Ashland OR who came out in effect, to our sell out Halloween show last night at the Ashland Armory. It was most definitely a crazy party!! 10/24- Excited to head out to the west coast for next few weeks. Embarking on a month long run with the Pimps of Joytime, looking forward to lots of great shows and seeing great friends. 9/14- On our way back from Canada tonight, wrapping a our long summer of shows and touring. Played a sold out show of about 5,000 people last night with Michael Franti at the Harvest Jazz and Blues Festival in New Brunswick. It was a great way to end the summer and head into the fall! 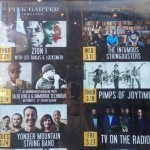 9/11- Tonight a special show at City Winery- Love in Times of War. I’ll be performing with Bajah and the Dry Eye Crew along side John Forte. also performing is Pistolera, Sahr Ngaujah (Fela from Broadway), Jennah Bell, Tarrah Reynolds and others. Excited to be a part of this awesome night! 8/23- Heading out west for a few week run in beautiful Colorado. We’ll kick it off tomorrow in Telluride, playing with Thievery Corperation and then head to Aspen, Fort Collins, Denver, Crested Butte etc. Great places to be in the summer! 8/2- Rolling with the Pimps of Joytime into LA in a few hours to play the El Ray Theater with JJ Gray and Mofro. Looking forward to a slamming LA show! 7/17- Very excited to report that Im producing and co-wrote 4 new Bajah and the Dry Eye Crew tracks. We’ve been recording at Converse’s Rubber tracks Studio in Williamsburg and the tracks are sounding bangin! Today we did our 1st vocal session and Bajah sounded amazing! He is a master in the studio. Excited to have Swiss Chris, B Satz and Nate Edgar on the tracks laying down some heavy grooves. 7/11- Hitting the midwest for a run of PJT shows. Friday we will be at Forecastle Festival in Louisville, KY along with the Black Keys, Robert Plant, Bi Boi from Outkast, the Alabama Shakes, The Flaming Lips and many more amazing artists. 7/4- Happy July 4th! We will be celebrating Independence Day at High Sierra Music Festival in Quincy, CA. High Sierra always promises to be a great time in a beautiful setting in Northern California. We’ve got a late night show and also an afternoon set at the Main stage and then we are off to Mountain Sage fest, in Groveland, CA. 6/7/13- Excited to be back with John Forte for a night of music tonight. We are performing at BAM- Brooklyn Academy of Music. Also I will be rocking with Ukranian singer Sunsay, who is a great star in Eastern Europe and Russia. Not to be missed! 5/23/13- Last night I performed at Rockwood 2 with Thats My Cole. The show was dope! Also on the bill were Aaberaki and SLV. An awesome array of musical vibes! Now heading back out to with the Pimps for some midwest festival action. Crazy storms in NYC and Jetblue cancelled our flight to Chicago but we are now headed to DC to catch another flight to make our set at Summer Camp. We will not be stopped! 5/9/13- Today we embark on the 1st tour with the People’s Champs! We will be hitting the road in the midwest- Oberlin College, Cincinnati (Jorscan’s hometown and also his BDay show), Chicago and Grand Rapids. This will surely be the first of many tours w/The Champs. Be sure to get the free download of our newly released track Humanity. 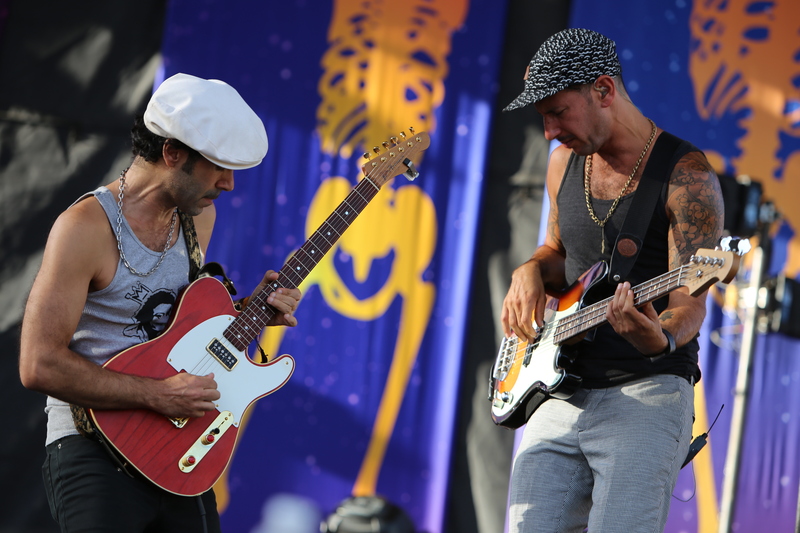 5/2/13- Excited to be in New Orleans for another year of Jazz Fest. This city is truly one of the greatest! Playing with the Pimps at Little Gem on Saturday night and the legendary Tipitina’s Uptown on Sunday with NOLA natives Dumpstaphunk! 4/27/13- Good times tonight at our show at Pisgah Brewery in Asheville, NC. Big shout out to Alan Evans trio, who opened, with my old friend Beau Sasser on organ. Those guys were layin down some serious groove! 4/18/13- Pimps of Joytime headin down south to tour into Jazz Fest In New Orleans. We’ve got some Virginia shows this weeekend. DC show tonight and heading to good old Roanoke tomorrow for a festival. 4/12/13- PJT’s at Rock and Roll Resort Fest tonight. Cool lineup with Soulive and tons of Boston bands. Great to see some old friends killin it on stage. 3/29/13- Pimps finishing up our West Coast run with shows this weekend in Portland and Seattle. Love the northwest! 3/22/13- Starting our annual 2 night stand at the Independent in San Francisco. We will be throwing it down Friday and Saturday nights. Get your tickets before they sell out! 3/20/13- Heading out to the west coast for a few weeks with The PJT’s. We’ll be starting at the Belly Up in San Diego and heading all the way up to Seattle. 3/15/13- Looking forward to a great weekend of music. Tonight I will be performing at the Blue Note with Thats My Cole and tomorrow, I’ll be rockin with The Pimps of Joytime at Le Poisson Rouge for the Equifunk St.Patty’s Day party. Will be the Jump Off! 3/8/13- Excited to spend some time in Atlantic Sounds Studio in Brooklyn today. Working on guitar tracks for Abena Koomson’s record. Soundin nice! Can’t wait to hear the finished product. 2/14/13- PJT’s midwest tour begins! 2/4/13- Good hang at Joe’s Pub tonight! I played guitar with both Thats My Cole and for the debut show of SLV. Playing songs off her new EP, produced my Meshell Ndegeocello. Look for alot of great things in the future with both those Artists. 1/16/13- Into the studio tonight at the Engine Room in NYC with Elizabeth the Band. What an incredible live room. Recording our track ‘Brooklyn’. Gonna be fire..
1/14/13- Well Jamcruise was pretty epic again! Lots of late night sessions in the Jamroom, some great Pimps shows, got to check out and hang with some great musicians and of course fortunate enough to spend some time in Turks & Caicos and the Bahamas! 1/6/13- The new year has started off pretty crazy! Wrapping up the Pimps of Joytime tour in California, flying today back to NYC for just the night to rock with the great John Forte and friends at City Winery in tribeca and then off to Jamcruise on early flight tomorrow the morning. 12/31/12- PJT’s had a great show last night at the legendary Fillmore in San Francisco, looking forward to closing out the year with a bang at our show tonight in Lake Tahoe! 12/6/12- Headin to LA tomorow to rock with John Forte. He’ll be premiering his documentary ‘A Russian Winter’ and we will be playing a show afterwards. Looking forward to the LA sunshine. 11/2/12- Stoked to be hitting the road w/ John Forte and friends in Europe for the next few weeks. We will be in Amsterdam, London, Paris, Brussels and Berlin. Holler! 10/26/12- Pimps of Joytime tonite at Voodoo Fest in NOLA. Just before for Bootsy and right after George Porter. Very excited and humbled to be sharing bass duties on the same stage with such influential greats.